Come join the Flagler County Sheriff's Office and other community leaders for their first ever Safety Expo! 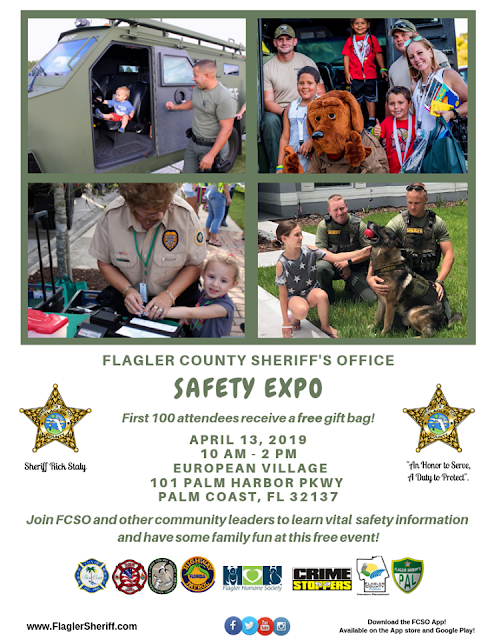 You don't want to miss out on this FREE family-friendly event! First 100 attendees receive a free gift bag!